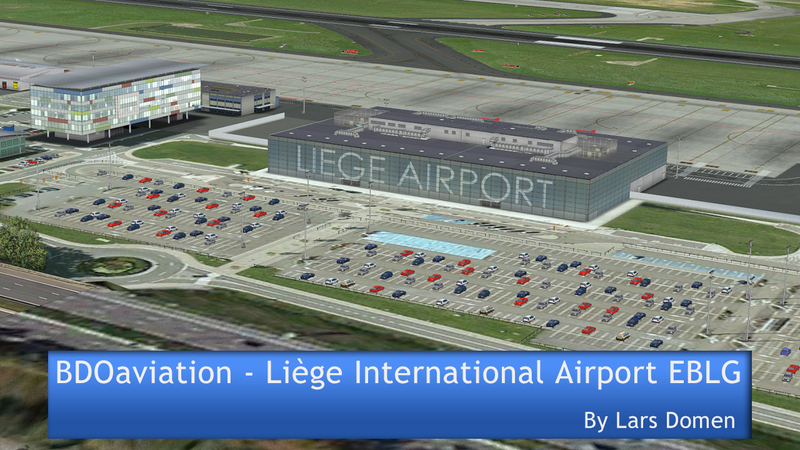 Liège Airport (ICAO: EBLG; IATA: LGG) is an international airport in the east of Belgium. 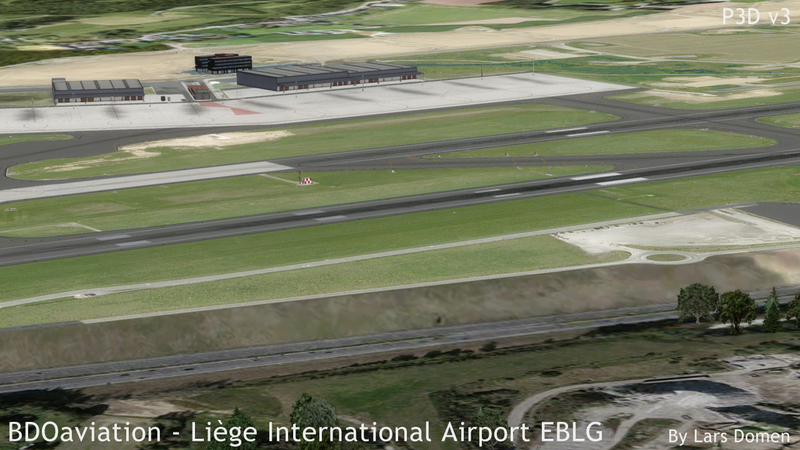 It’s located about 10km away from the city center of Liège. 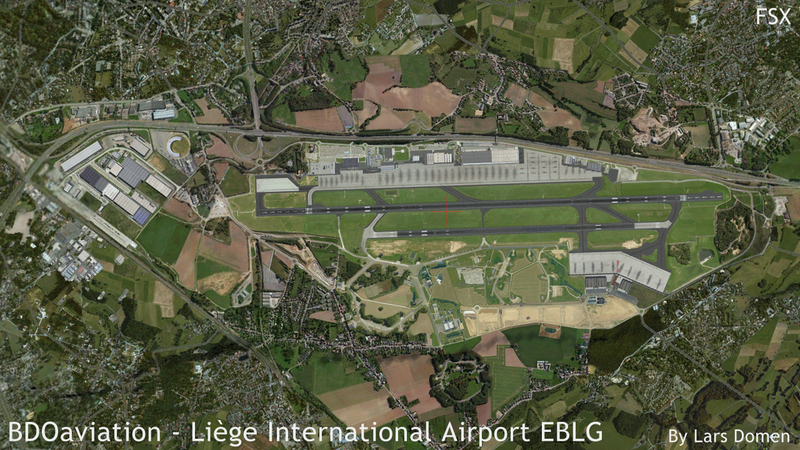 The airport started as a grass strip in 1914, soon taken over and expanded by the German Army in WWI. The interbellum period saw continued use of the airport, including a scheduled service to Brussels and Antwerp. WWII again saw German military activity at the airport. After the war, civil aviation recommences at the airport, but in 1952 military activity is restarted, with the Ministry of Defense taking control of the airport the following year. The airport finally returned to civil control in 1976. This sparked a period of intense construction and reconstruction of the airport infrastructure during the 80’s. In the 90’s, Liège Airport started a period of rapid growth, which resulted in the airport becoming Belgium’s premier airport in terms of air freight, and third in terms of passengers. In 2015, the airport moved 300000 passengers and 650000 tons of freight. 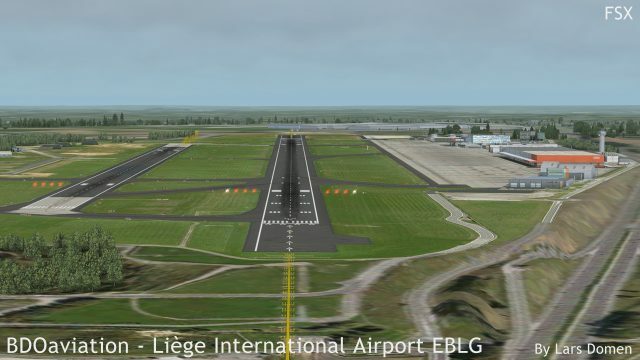 The airport features 2 parallel runways. 05R/23L is 3690m/12106ft long, 05L23R is 2340m/7677ft long. I hadn’t heard of BDOaviation before they released Liège, but they have 7 different airports available at SimMarket, so they probably know what they’re doing. 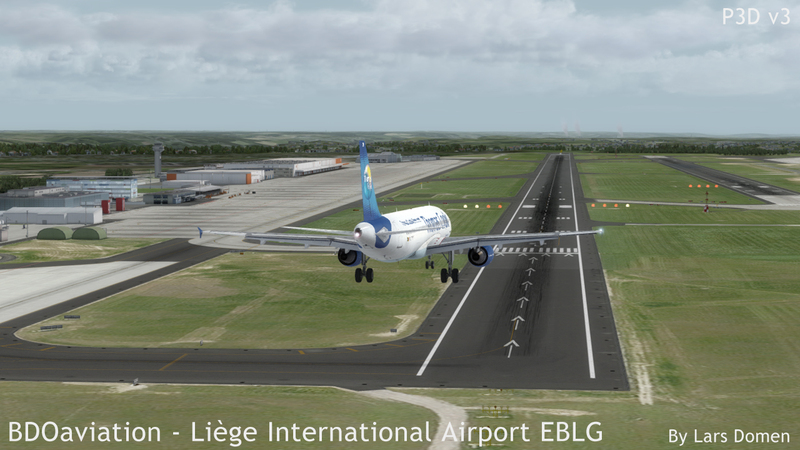 ‘BDOaviation Liège International Airport EBLG’ is available in 2 separate versions: one for FS2004, and one for FSX/P3D. 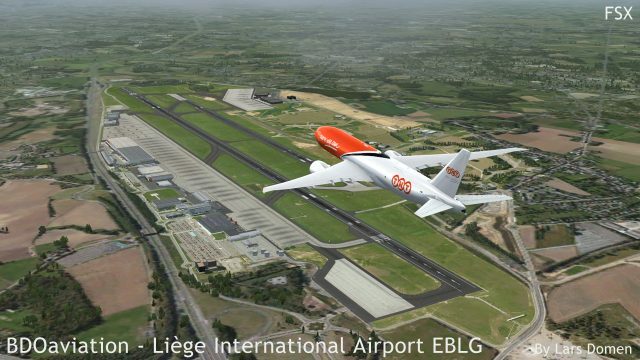 This review is solely for the FSX/P3D version, which retails for €19,50 (excluding VAT) on SimMarket. Upon purchase, you get access to 2 download files. 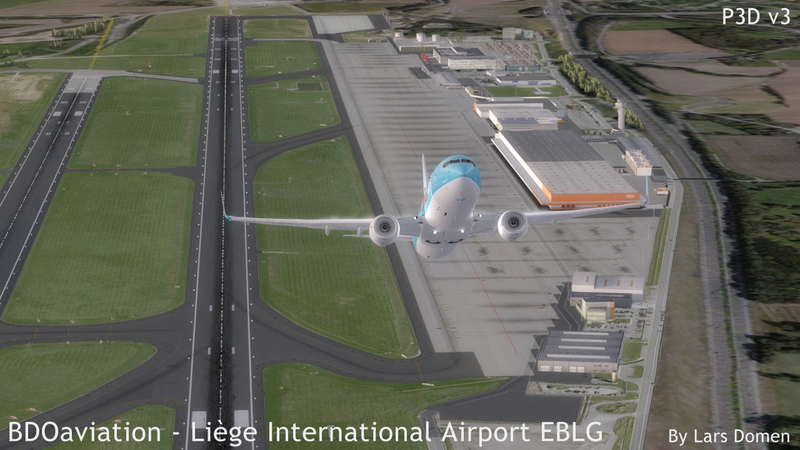 One for FSX, and one for P3D. The FSX one comes in at 314MB, the P3D one marginally larger at 320MB. While I prefer a single installer for all versions, this has the upside that you don’t have to download anything extra if you only install in one sim. Speaking of installing, the BDOaviation Liège installer is not the most user-friendly one out there. 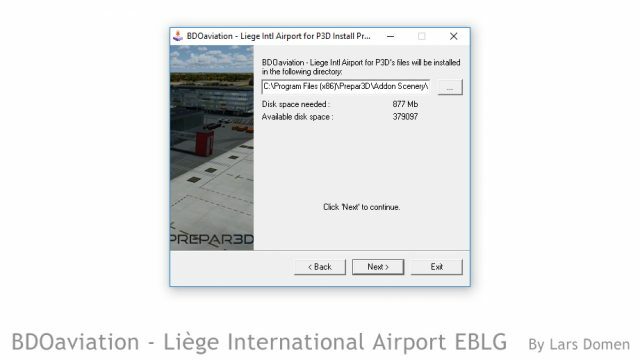 First of all, it points to the default FSX/P3D install location, whether your sim is actually installed there or not. No automatic location detection here. Second, you have to point the installer to the actual folder you want to install the scenery in. Not just the FSX/P3D root folder, like most other installers. Finally, the installer does not activate the scenery in the sim for you, you have to do it yourself through the Scenery Library. And did I mention that you have to figure this all out on yourself? Nothing in terms of a manual or a quick start guide. Not before installation, and not after it either. Note the ‘default’ installation location. In terms of ease-of-use and user-friendliness, this installation process is quite the mess. I expect better for a €20 payware product. At least they don’t expect you to unpack and copy the files yourself. 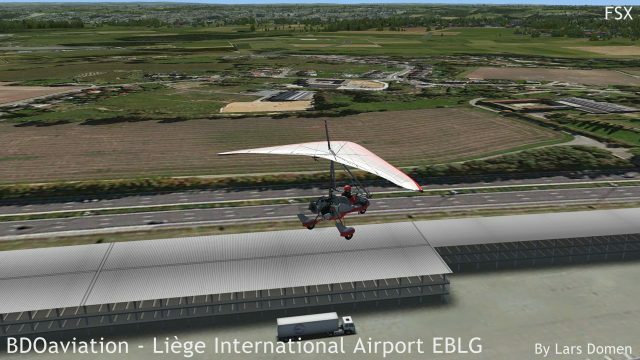 Considering I was less than pleased with the installation process, I was quite apprehensive when first loading the sim at my new airport. But lo and behold! My first impressions of the scenery were quite pleasing! First impressions are not everything, of course, but I was glad nonetheless. Let’s talk about what I uncovered in further testing. 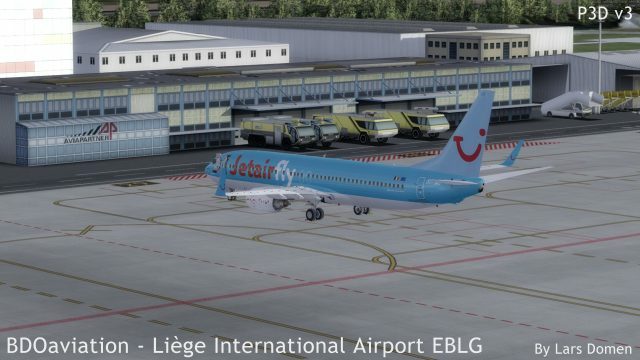 First of all, BDOaviation Liège comes with good looking photoreal terrain textures, which extend somewhat, but not much, beyond the airport boundaries. The terrain textures are of good quality, and look right. The alignment between ground textures and scenery is spot on. One aspect I particularly like, is that the photographic terrain matches FTX Global very, very well. The boundary between the 2 is quite hard to notice, especially if you’re not specifically looking for it. There are also different ground textures for different seasons. The entire airport looks markedly different in winter, compared to how it looks in summer. One slight remark here, is that the winter ground textures have a slight green hue in the snow at night. Take a look at the quality of both the hardened surfaces, and the rest of the airport terrain. Both look very good if you ask me. A green hue on the snow at night. Not an issue in daytime. 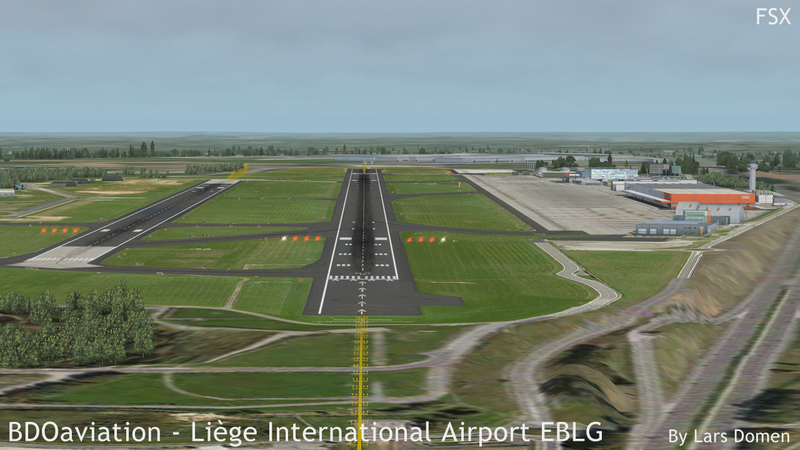 On top of the ground textures, are the runways, taxiways and aprons. They also look good. Nice looking surface textures, combined with clear, good looking and easily readable ground markings. I also quite like that during winter, the edges of the runways and taxiways also show snow. It makes quite a nice impression, in contrast to the snow stopping in a perfect line at the edge of the hardened surfaces. I ran into one problem with the ground surfaces though. 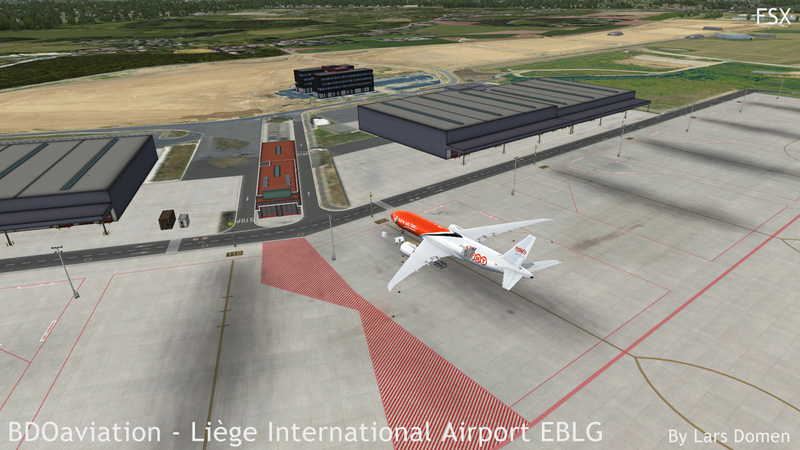 In Prepar3D version 3, the airport doesn’t show any shadows on the ground. Not from aircraft, and not from clouds. Quite a big issue, in my opinion. 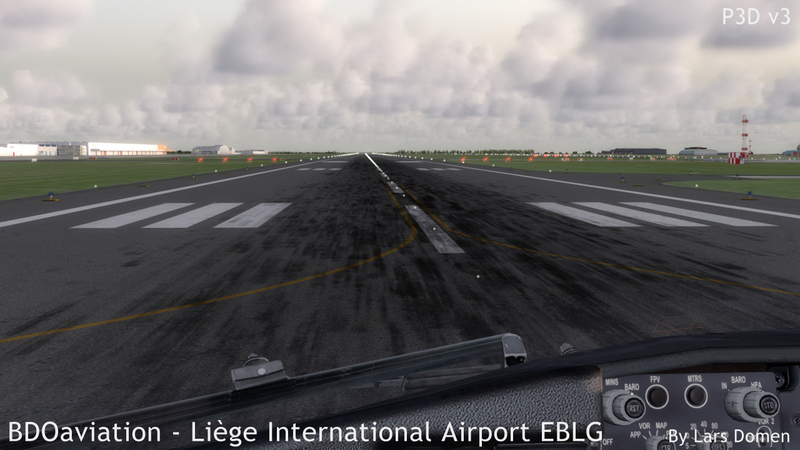 In FSX, ground shadows work correctly. 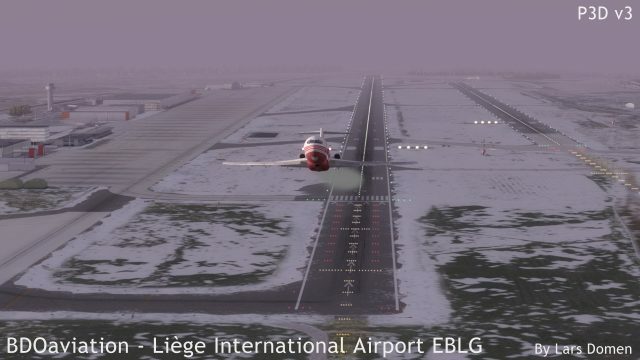 When I contacted BDOaviation about this problem, I got the response that they had no knowledge of this, and that Liège wasn’t tested in P3Dv3. 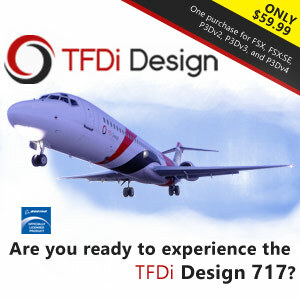 Strange, as the product page explicitly mentions compatibility with P3Dv3. 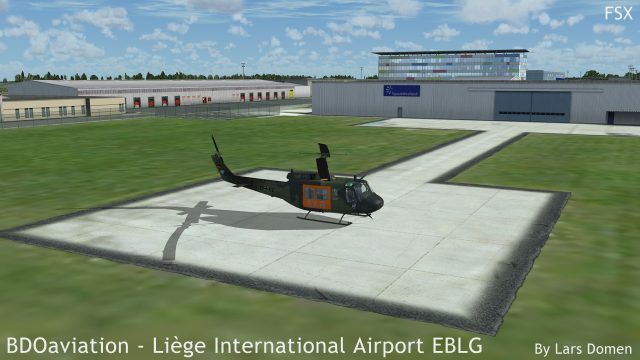 The airport buildings are of good quality. Both models and textures look good. Buildings range from enormous warehouses to small hangars, and even an old WWI fortress located on the airport grounds. Finally, there’s quite a bit clutter located around the airport. 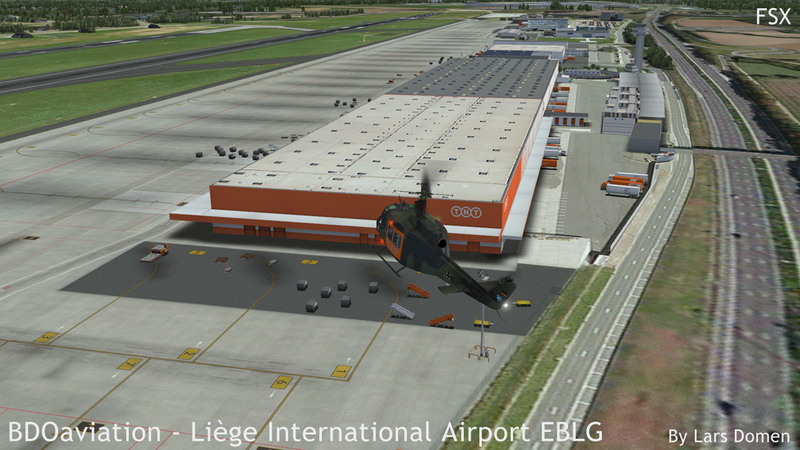 Air stairs, cargo containers, an assortment of vehicles… And all looking pretty good. Additionally, the car park is full of cars, and the landside of the cargo buildings has trailers lined up against the loading gates. The airport also has trees where there should be. Especially on the north side of the airport, there’s quite a few. Unfortunately, the scenery also has a problem with autogen. Both north and south of the airport, there’s an area where there’s no autogen showing. So it’s just bare photoreal ground textures, with nothing on them. 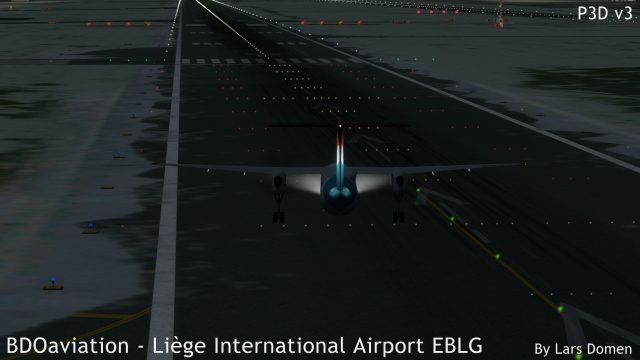 This problem exists in both FSX and P3D. You can see autogen in the distance (beyond the airport scenery) but nothing in the foreground. A pity for a product that otherwise blends well with the surrounding environment. 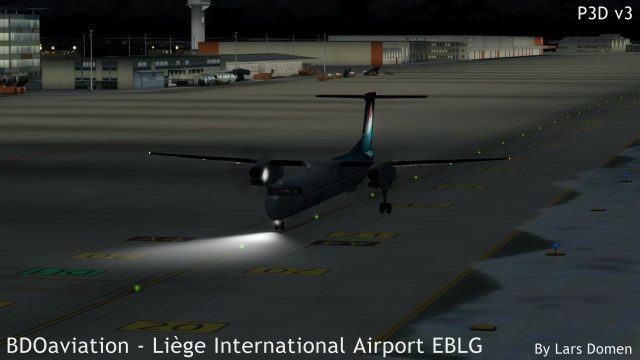 At night, the airport looks alright. Lighting effects are subtle but visible. Generally, a pleasing impression. I do think that the lighting on the aprons could be a bit better. It just doesn’t look natural, with the light fitting the apron a bit too well, and not enough light falloff with distance from the lightpoles. The buildings at the airport are all quite bright at night. No issue for those in the reach of lightpoles or those that are floodlit, but some more moderation might’ve made it look more realistic in some places. That being said, the general impression of the airport at night is certainly a positive one. Usually, I don’t talk about support in a review, but this time it is relevant for the experience I had. 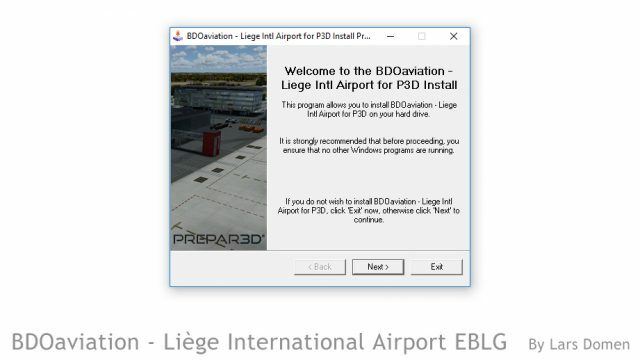 BDOaviation Liège doesn’t have a manual. I contacted their support by email to enquire about the issues I found. 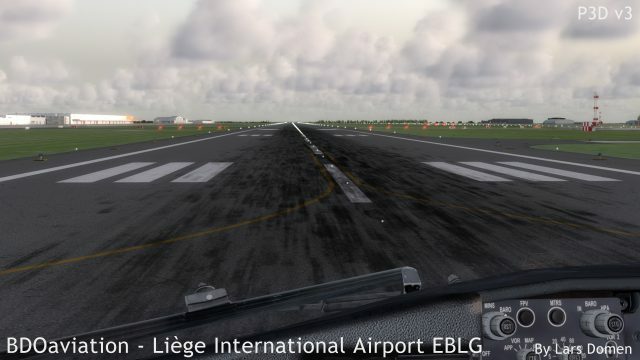 Their reply said that Liège was not tested on P3Dv3 (despite the product page mentioning support for that simulator), and that they hadn’t heard about the problems I mentioned. They would look into it and get back to me. That was over a month ago. A follow up email by me wasn’t answered. 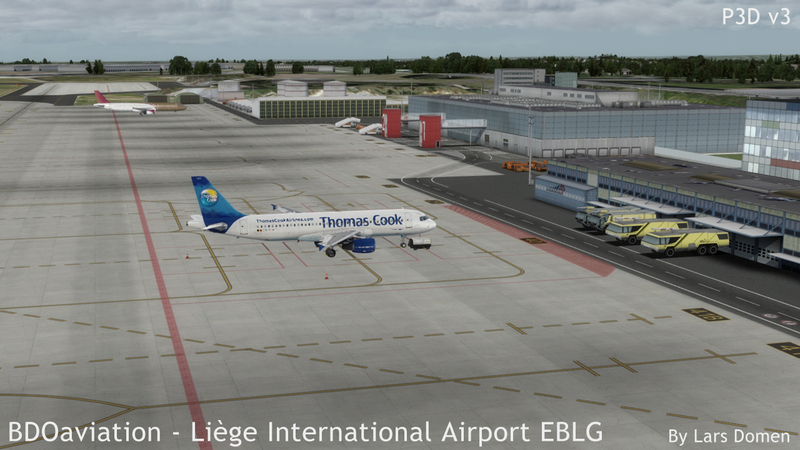 BDOaviation’s Liège International Airport might not be an award winner, it certainly is a nice scenery product. 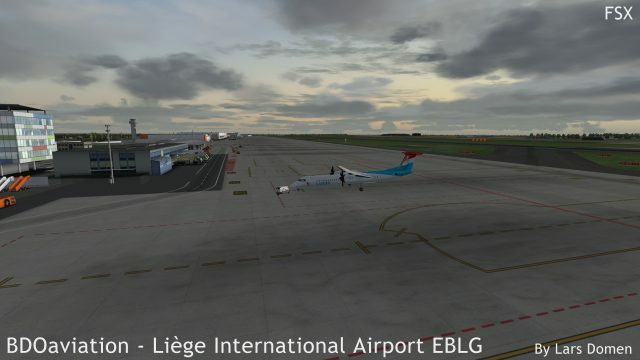 The airport looks good, as do the buildings and clutter located there. The overall experience is pleasant, and performance on my system was very good. So, certainly a nice airport that will primarily attract cargo pilots. That being said, it has some issues which I would like to see fixed. Another things I would like to see fixed is the installer. It just isn’t user friendly. Very interesting and informative review. Thanks.Usually I’m found of sceneries in Europe. But the described issues and the lousy support make me stay by my freeware very basic scenery. Great review thanks very much. Based no your review I’m not buying of this company. 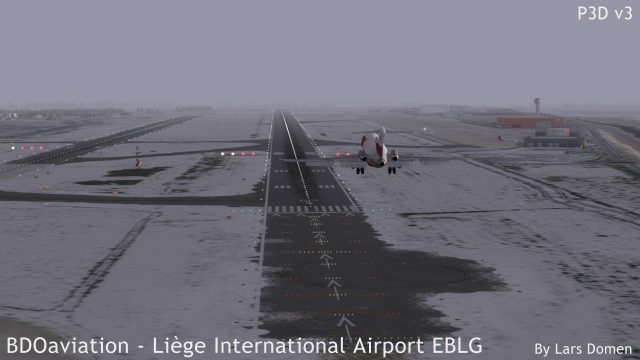 Lousy support and misleading information from either Simmarket or BDOaviation. Nice review. Too bad sloped runways still aren’t simulated in FSX/P3D. 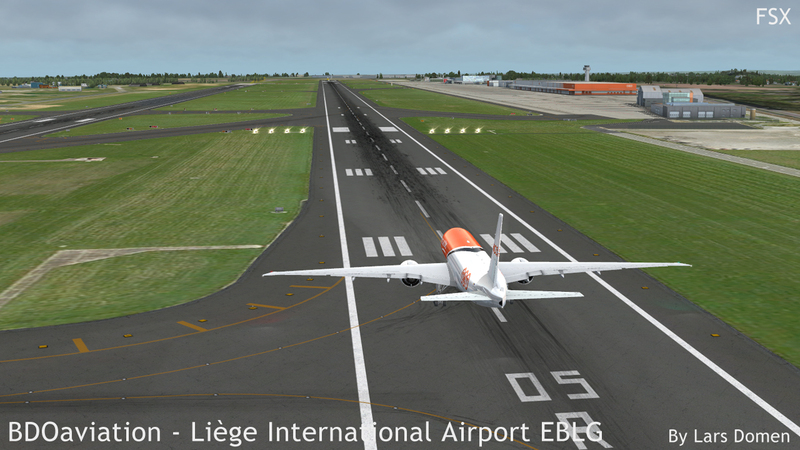 I fly to and from EBLG in real life so now and then, and the sloped runways are what makes it so nice!